Powerful Linear Actuator System for Grain Handling Applications | Venture Mfg Co. In the farming industry, grain handling refers to processes performed for collecting and storing bulk amounts of grain. These processes involve using large trucks and storage containers. While these processes are beneficial in terms of time and bulk storage, they also come with a few disadvantages. Quick dispersal of the grains can lead to worker accidents, grain wastage, and creation of fires, which can have disastrous consequences. Hence, these processes need to be controlled properly to ensure complete safety and efficient work completion. Venture Mfg. Co. provides the solution with electric linear actuators for grain handling applications. They are known for a variety of capabilities such as position accuracy, positioning feedback, and self-locking capabilities. 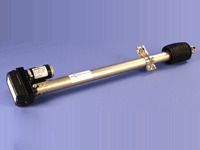 The 90V actuators are known for their excellent load bearing capacities. Our products are manufactured using stainless steel and aluminum. Thus, they provide complete corrosion protection. They provide immense control over the movement of doors, allowing for easy and safe grain dispersal. The motorized linear actuators are completely self-contained with integrated power supplies. Hence, no extra power supply is required for operation. The self-locking feature prevent any chance of accidents taking place during the grain dispersal process. The actuators consume less power as compared to other linear movement products. They are also easy to repair, and require minimal maintenance. With the above information, it is clear to see that grain handling and actuators can work in unison to ensure efficient operation and grain storage. We at Venture Mfg. 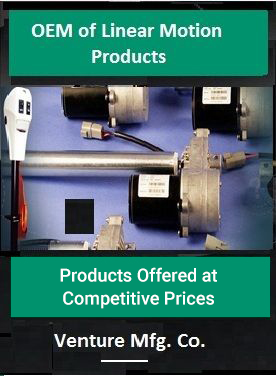 Co. can design custom actuators to meet your specific application needs.